Welcome to San Jose's meeting planning guide. 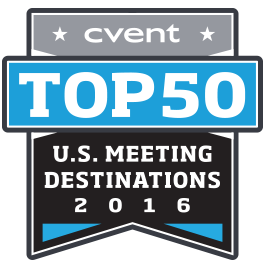 Here you'll find everything you need to plan your next event. 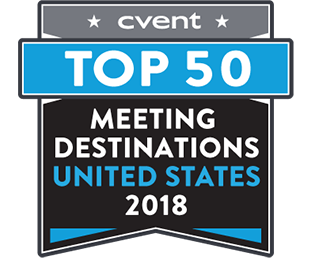 With seven impressive large-scale event facilities, numerous convention hotels, and versatile unique meeting spaces, San Jose is a prime location to host meetings. Named the most future-ready city in America (by Dell), San Jose has undergone a $1.7 billion investment in urban redevelopment, which revamped museums, libraries, parks, and more. 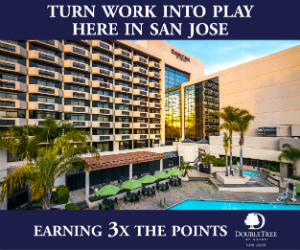 Guests can arrive in San Jose by way of Mineta San Jose International Airport, located just 3.9 miles from the Convention Center and downtown. The airport underwent a $1.3 billion modernization, which has made it one of the greenest, most efficient, and modern airports in the country. The airport has also expanded its international flight service, offering direct flights to London, Frankfurt, Shanghai, Beijing, Tokyo, and Vancouver. It will also increase its domestic service with direct flights to New York, Chicago, Washington D.C., and Salt Lake City. The airport is a constant hub for travelers who enjoy Silicon Valley for business and pleasure. 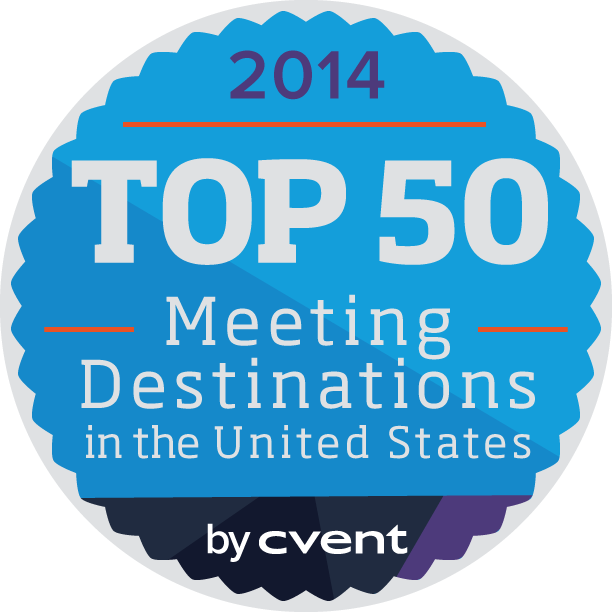 The McEnery Convention Center underwent significant growth in 2013 featuring a 125,000 sq. ft. expansion, leading to a total of 550,000 sq. feet in Team San Jose managed venues. Once inside the city, event attendees are greeted by a host of facilities, with 214,760 sq. ft. of exhibit space, and a 35,000+ sq. ft. ballroom. The immense convention center is equipped to host events of all types and sizes. Fitting for a convention center in the capital of Silicon Valley, McEnery is technologically advanced and offers webcasting and video streaming capabilities and a hyper-speed network infrastructure, including free Wickedly Fast Wi-Fi that runs from the airport throughout downtown. 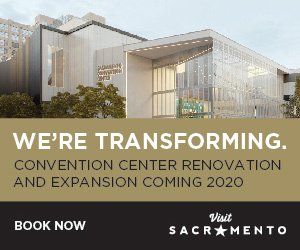 Don't forget, rather than handing planners off to other organizations once the meeting is booked, San Jose does it all, from housing, convention center, and facility event services to customized food and beverage menus, permits, marketing support, and special events. Within walking distance to the convention center is the spacious Center for the Performing Arts, which is a great alternative to large-scale events in San Jose; across the street from the Convention Center sits the City National Civic, a premiere intimate concert venue. The Civic is a Spanish Mission-style building and serves as a great host for meetings and events, offering 3,000 concert seats, four meeting rooms, and general assembly space. 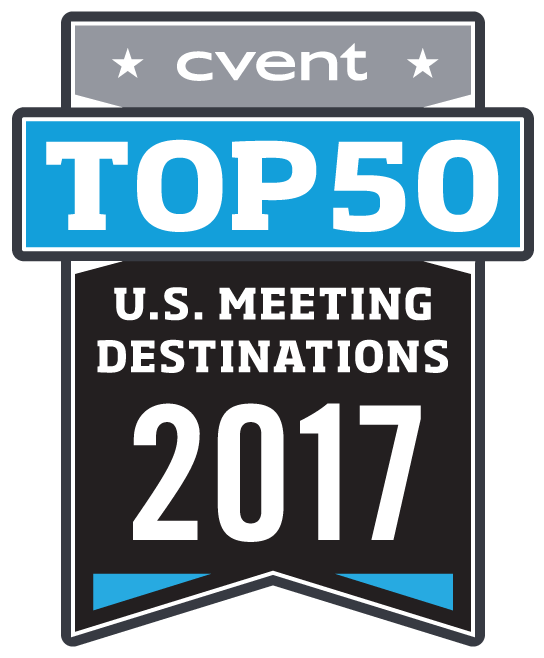 Combined with other stunning Team San Jose-managed event sites such as the California Theatre and Montgomery Theatre, San Jose has 550,000 sq. ft. of total meeting space. San Jose event venues also offer the benefit of being eco-friendly. The city is one of the first to start a convention facility composting and recycling program. Non-recyclables such as furniture, poster board, and scrap metal are donated to non-profit organizations and local schools. In addition to being green, meeting and event planners can go green by hosting an event at one of the city's carefully tended parks. Group outings can be taken to a whole new level at San Jose's Guadalupe River Park and Gardens, which feature the world's largest Monopoly game board. The board, which measures in at 930 sq. ft. and is accented by huge game pieces, can be rented out and played by several people. Back indoors, the mango-colored Tech Museum of Innovation serves as a unique mix of tech and sophistication for events in San Jose of up to 2,500 people. San Jose's economy centers on high-technology engineering and computer and microprocessor technologies. The city serves as headquarters for such corporations as Adobe Systems Incorporated, Cisco, and eBay. Higher learning also holds a strong presence in the city, as San Jose is home to San Jose State University, National Hispanic University, and Lincoln Law School of San Jose. As California's third largest city, San Jose is an integral component to the San Francisco Bay Area's geography. The Capital of Silicon Valley weaves a rich history, vast cultural diversity, stunning natural beauty and is ripe with technological development. This Valley has fast become the epicenter for global change. Set between the Santa Cruz Mountains and Diablo Mountain Range in the picturesque Santa Clara Valley, San Jose was founded in 1777 and is California's oldest civilian settlement. It has since grown to a population of over one million – making it the nation's tenth largest city. San Jose's skyline is burgeoning with residential high-rises, renowned hotels, one of America's premier city hall buildings, and is constantly undergoing new development. The museums are nationally recognized, and the strong economy supports everything from opera, symphony, Broadway shows, and championship sports teams. San Jose is home more than 6,600 technology companies. It's clean, safe, and blends an amazing diversity with more than 40 languages spoken here. The metropolitan area represents a diverse range of cultures and ethnicities with large Hispanic, Chinese, and Japanese populations – as well as the largest population of Vietnamese Americans in the United States. Natural beauty is never far, and the 300 days of sunshine are a great excuse to get outside. Visitors can travel just 30 minutes to enjoy magnificent redwood groves and breathtaking views at Castle Rock State Park, Big Basin Redwoods State Park, or Henry W. Coe State Park. For charming downtown strips, stroll the towns of Saratoga, Los Gatos, Campbell, or Palo Alto. Enjoy boutique shops and tasty bites, or sip your way through one of California's oldest wine producing regions in the Santa Cruz Mountains with wines produced by award-winning winemakers. 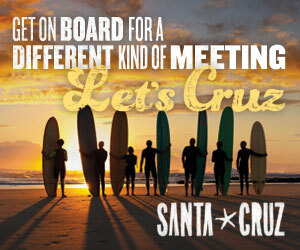 Just beyond the Santa Cruz Mountains, you can sink your toes in the sand and leave your footprints on the gleaming beaches along the iconic Pacific Coast in Santa Cruz and Monterey. San Jose's abundant valley is a city of the future. The synergy of technology and stunning natural beauty fuels thinkers, dreams, and innovators and inspires intelligent individuals to create global change. It's is what makes San Jose and Silicon Valley unlike any other experience.